In order to ensure your roof is in good condition, on average, you should replace your roof after 20 years. Although roofing repair can help patch up certain problems after a certain amount of time roof replacement becomes the best option. Many towns in MA are home to older homes which often require complete roof replacement, and Walpole MA is no different. 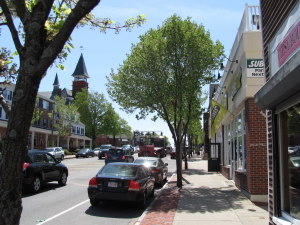 Walpole was first incorporated in 1724 making it one of the oldest towns in the commonwealth. With the rich history comes older real estate that often times are long overdue on their roofing needs. By the time these issues are addressed, a complete replacement is often times the best option. Aqua Barriers specialized in complete roof replacements that will keep your home safe and protected for years to come. Whether it is missing shingles, previously poor repair, or deteriorating from age, Aqua barriers highly trained team has the experience and know-how you need to replace your roof. There are many signs you roof may need replacing but the major one is old age. If your home is over 50 years old it is important you have a roof inspection to ensure your roof is in working conditions. If you are unsure if your roof needs a replacement call Aqua Barriers who can provide a consultation service to evaluate the current condition of your roof and whether or not it needs replacement.